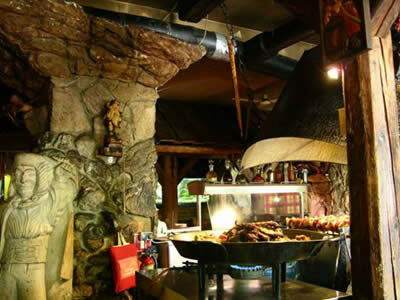 As you walk along the Krupowki you can smell the sizzling meats being cooked up inside Goral Burger and then as you come to the front of the restaurant you can see the chef standing before a number of huge frying plates, full of a variety of meats. 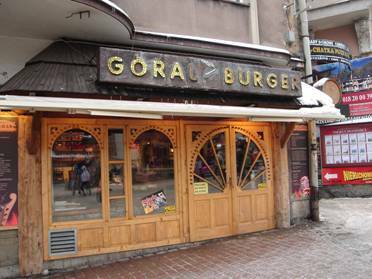 Goral Burger is very much a meat eaters restaurant, give it a miss if you’re a vegetarian! However, if you like meat of all kinds then you will find something in Goral Burger. Large portions of various traditional meat dishes served with salads and potatoes, simple but tasty, really filling and all at a good price! 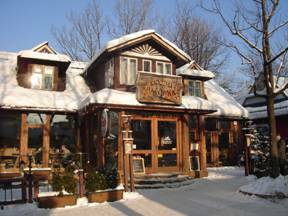 Located towards the top end of The Krupowki, Karcma Bacówka is a traditional local restaurant set inside an old style wooden building with hand crafted wooden furniture. The food is what you may expect of an old style Polish restaurant, large, very filling portions of all the local highlander cuisine such as potato pancakes, lots of meat dishes, tasty kebabs and pierogies. 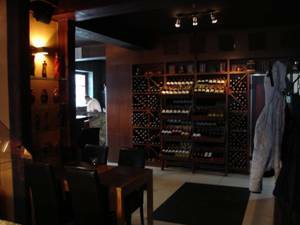 The service is very friendly and there is a warm and comfortable atmosphere inside, a perfect place to unwind at the end of a hard day skiing! 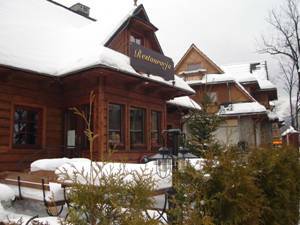 There are 3 Pizza Dominium restaurants In Zakopane located In the centre of town, one at the top of Kasprowy Wierch and one at the top of Gubalowka. Although the pizzas are more expensive than other local pizzerias such as Adamo and Bambola, they are delicious pizzas and definitely better than those you will find in the pizza hut in Zakopane. You can choose from a big choice of pizzas or create your own varying in size from small up to XXL! BIG PIZZAS! There is also a choice of soups, meats, pastas and salads on the menu. 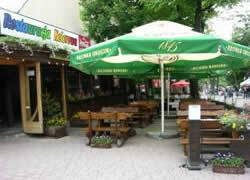 Adamo is located at the very bottom of town on the main street across the bottom of the Krupowki. 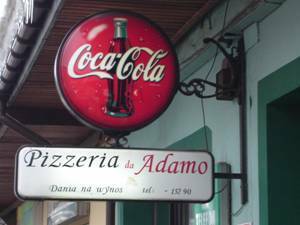 An Italian pizzeria, Adamo offers some of the best pizza in town, if there are 2 of you then the Pizza Adamo will feed you and then some! For the cheap price of 5 pounds you can get a huge pizza that easily feeds 2 people. Alternatively you could try there famous ribs, choose from 30cm, 50cm or even a 1metre long rack of ribs! Add a litre flagon of beer and the boys are fed and watered! Adamo also offers a varied menu of pastas and a few local dishes, there is definitely something for everyone and they also offer a take away option if you are feeling lazy! Senzo used to be a Brazilian restaurant and although it has now changed owners and its name it still offers a few Brazilian dishes and every now and then you may still find a live Brazilian musicians inside. The décor inside Senzo has not changed and it is still a very stylish restaurant. As well as a selection of Pastas, Pizzas and local highlander food, Senzo is still serving up some of the Brazilian dishes that were previously available. The most popular dish on the menu being the Brazilian all you can eat! For the all you can eat option you will be given access to the salad bar and served up a selection of meats cooked following Brazilian recipes, rice and beans followed by freshly sliced hot pineapple. If you are still hungry after trying all of the meats on offer you can request to try your favourites again and again until you can eat no more! As well as great food Senzo also has the best selection of wines in Zakopane from Chile, Italy, France and others from around the world. 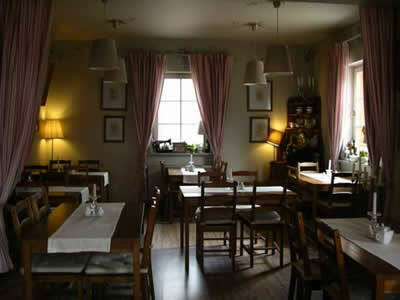 You will find Senzo at the top of Krupowki where the main road meets the high street. 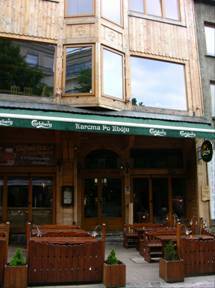 Centrally Located on The Krupowki, Sphinx is part of an international chain of restaurants. It was started in Poland to fill the gap between fast food and fine dining. Inside Sphinx you will find an open fronted kitchen so you can see what the chefs are cooking up, a bar and a large well decorated restaurant. The food is all made from fresh produce and covers an international menu including pizzas, pastas, meat dishes and salads, all offered with a variety of toppings and sauces. There is a little bit of oriental, Italian, Mexican, French and a few other flavours to be found on the menu! The portions in Sphinx are generous, there is a large drinks menu and prices are very reasonable. An ideal choice for everyone, especially those with kids who might not be so keen to try the local Polish food. 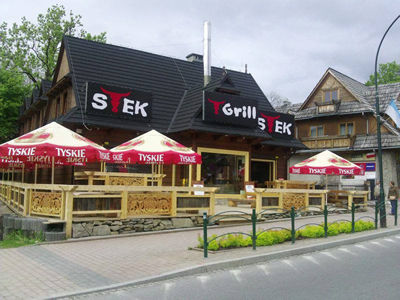 If you find yourself walking down the Krupowki and feeling hungry then Stek Chalupa (The Steak House) is a perfect choice. 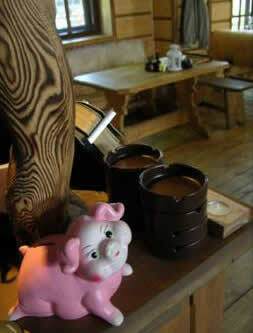 Once inside you will find friendly staff, a traditional décor and live traditional music playing. You will be served with a LARGE portion of your chosen meats, salad, raviolis and potatoes and will not go hungry! 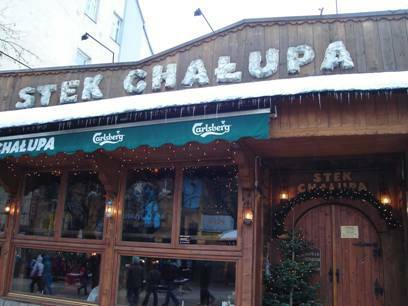 If you want to try a warm hearty highlander meal in Zakopane then Stek Chalupa will not leave you disappointed! After passing the doorstep of Czarny Staw restaurant (Black Pond) you will feel yourself as if you entered cave inhabited by one of the Tolkien’s dwarves, the one who definitely has Polish roots and loves to expose his origin by so called “polish hospitability”, serving his guests enormous amounts of food- roasted meat as well as traditional veggie specialities to the accompaniment of his favourite regional disco-folk. As written in the restaurants name, our host lives by the pond so don’t panic when you notice piranhas staring at you and your big plate! 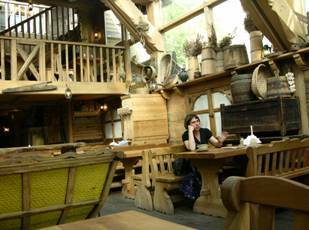 If you don’t feel like dining in hobbit’s place then you can still try out his traditional cuisine and take our favourite potato pancakes to go, 1 pancake with sugar cost 1,5 zl which is not even half of the £! Chlewik which in Polish means nothing else but Porgy contrariwise is definitely not for pigs (speciality of the restaurant- roasted pig ;p) although cosy, wooden interior, delicious taste of food served together with very reasonable prices tempt to seat a little too long and eat a little too much…and in case of weak will –even pig out …a little of course ;p Nice service, relaxed atmosphere. Specially for those who value dishes served with a pinch of humour. 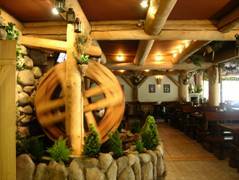 Many key features of this charming restaurant are craftily hidden in its name- “Little Switzerland” is like a small autonomic country in the heart of Lands of Polish Highlanders. It has it’s own rules, totally different to those celebrated along Krupowki street. In “Mala Szwajcaria” you will not find traditional folk music nor meals based on traditional polish recipes, instead of this the owners prepared for your ears gentle sounds of international acoustic music and for your stomach menu full of Swiss specialities which contain all the best elements of French, Italian and German cuisine,.Speaking more concretely there is a great choice of cheese and oil Fondue also pastas, ravioli, casseroles, spicy and sweet pancakes everything prepared from fresh ingredients so do not try to hurry, make your order, relax, enjoy the fascinating atmosphere of the place entertain your guests with the conversation! Your food will be professionally served and after you do your first bite you will understand that you have made the best choice. Soon you will find yourself there again. For those who plan some really sophisticated celebration Little Switzerland prepared special menu, The Menu Of Four Elements. Meals from this bill of fare you need to order 24hour in advance but it’s worth considering option as what you can find there is really extraordinary, for example Water Menu: Piratical shrimps with garlic; Fire Menu: Lamb sweet smelling of coniferous forest, Air Menu: Sultan way duck in dates etc. Yummy! To get there you just need to go up Krupowki and then its extension- Zamoyskiego street, at the second crossroad you will see on the right hand side Coctail Bar Gabi, few steps further at the left side of the street is Little Switzerland. If you are a real epicure, who appreciates taste of traditional homemade cakes then Cocktail Bar Gabi is must to visit for you! 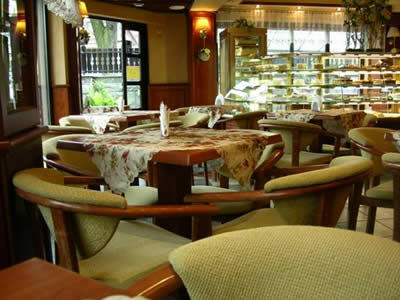 All the sweets and ice creams are made in the owner’s family patisserie that have long traditions, siegajace to the first and very famous post- war patisserie in Zakopane. You can be sure that anything you order here was made without artificial preservatives, on the basis of natural fresh products. Nice interior, good service. We highly recommend this place! Farmer’s Forge, that’s the English translation of this restaurant’s name. Farmer’s Forge is placed at the very bottom of Krupowki street on your right hand side (if you are going down) in one of the oldest building in the city. Having the oldest soul this restaurant can be proud of its nicely renovated interior, which of course is in traditional Podhale style. It is big but cosy, with separated areas for smokers and non-smokers. Cuisine is based on regional recipes with the speciality of restaurant - whole roasted pig served with wine sauce. This place constitutes a perfect summary of beautiful Krupowki street as well as of your busy sight-seeing day- with its traditional sizeable meals will surely put you back on your feet. 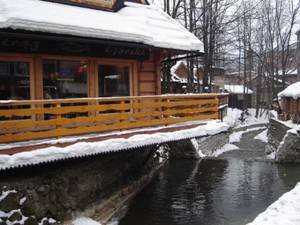 Right after above described restaurant Gazdowo Kuznia you will find one of very few places in Zakopane where simple, homemade, healthy Polish food is served without all the tourist splendour. This is the place where the locals dine and where you can feel taste of normal everyday meals which are prepared, like in a model Polish family, from only fresh products, seasonal vegetables and served by the most friendly people. Don’t miss it! Although it may seem a bit clumsy from outside we highly recommend to pass the entry doors and check out what is inside? Watra is an example of fairy tail effect in our real life- almost same level of surprise as finding magic world after opening old wardrobe doors. First thing that stands in opposition to your initial impression is the fact that Watra is huge and with regional design (but probably the less country style among traditional restaurants in this area). It offers famous highlander food, like lamb and mutton dishes: shashliks, loins, sauerkraut; dumplings with all kinds of filling from sweet blueberry to meat and goat cheese filling. There is also great choice of traditional alcoholic beverages: mulled wine, warmed beer with spices, warm drinking honey, honey vodka. For those tired of traditional Polish menus they have many kinds of pizzas and very tasty juices and sorbets made from fresh fruits! There is also play area for the kids. That’s a lively pace! Entering this restaurant you will find yourself at mountaineer style party. It’s a real fest. Music band playing and singing every evening and the waiters always ready to crack jokes at themselves and play tricks with the waitress. Good food, good fun! Owczarnia is placed at the beginning of Galicy Street, which is an arm of Middle Krupowki. Another great restaurant with traditional Polish cuisine. Its décor reflects an authentic highlander culture atmosphere. Spacious rooms, large fireplace, stylish bar and friendly service till the last client leaves! 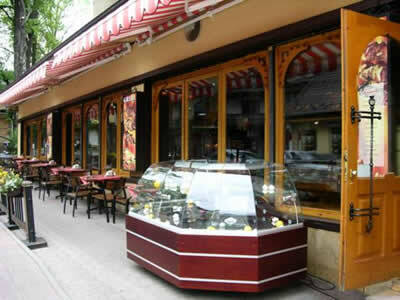 It is placed at street Grunwaldzka 25b, close to Hotel Belvedere****. Upon entering this local you will notice a mountaineer’s whitewashed stove in a central point of the restaurant. During cold days and evenings the shooting flames will warm you and put you in the good mood. Old irons, clocks and lamps and many other objects located in the tavern which were used by the Podhale's inhabitants several dozen years ago create unique atmosphere. 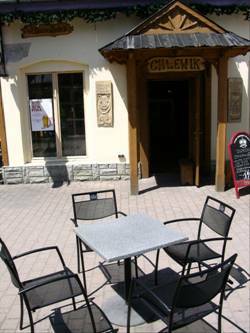 The restaurant's menu is extensive and features dishes prepared according to the regional and old Polish recipes. The Tavern's specialties are pork loins served with dark boletus sauce and chicken fillet with vegetables, apples and cranberry. Nice climate of this local, the interior, cosy atmosphere and mountaineer’s band playing in the evening guarantee that you will have unforgettable evening! Restaurant Colorful is placed in the Middle of Krupowki. 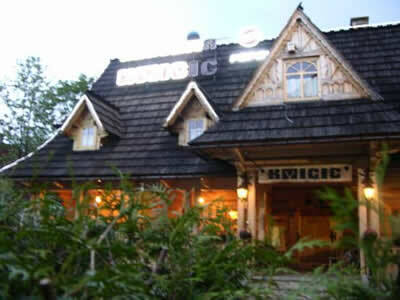 It specializes in regional and traditional Polish cuisine and is usually very busy, attracting lots of clients with its Loud goral music band. Cristina's has by far, the best pizza in town. 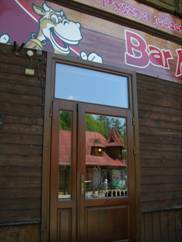 This stylish Italian restaurante is located next to the quare in Zakopane, close to Tratoria Adamo. For a nice glass of Italian wine or a cold beed. 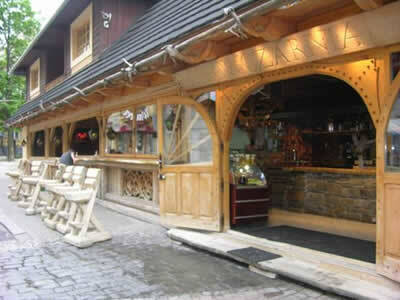 Cristina's is a must go to restaurant in Zakopane. Prices are slightly higher than the majority of restaurants in Zakopane, however this is still much cheaper than you could ever find in the UK. Tratoria Adamo is linked to ' Pizzaria De Adamo' in Zakoapne. 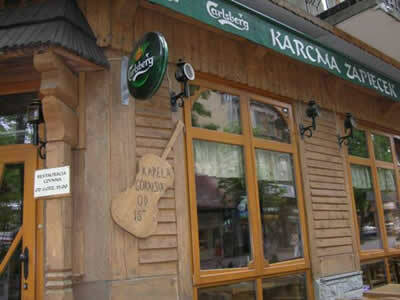 Tratoria Adamo is located next to the square in Zakopane just off of the high street. Tratoria adamo serves a mix of Polish and Italian quisine. We recommend Tratoria Adamo for their great pasta dishes. 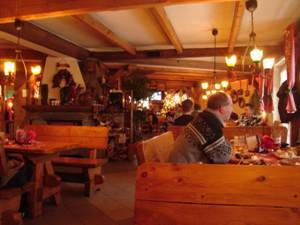 Tatra Chalert offers some of the best food in Zakopane. 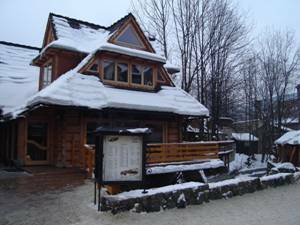 This small and quite, chalet/hotel is located close to the nation park. 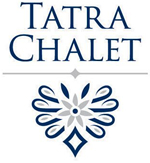 If you are looking for something special, a romantic meal, a celebratory meal then Tatra Chalet id the place to go. Althogh the prices are a fair bit higher, the quality of service and food will be worth it. As you may have guessed by the name 'Stek' is a steak house. Serving meat meat and more meat. You will be inticed in by the flaming grill in the front window. A friendly and good value restaurnate located a the top of the high street. Good burgers, good steaks and a great selection of wine.